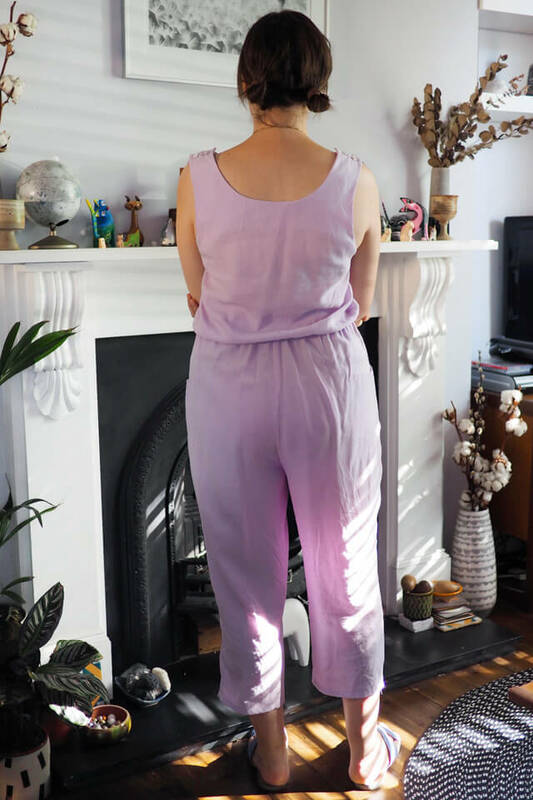 I’m having a bit of a moment with lilac/lavender, which is manifesting in my recent fabric choices and sewing. 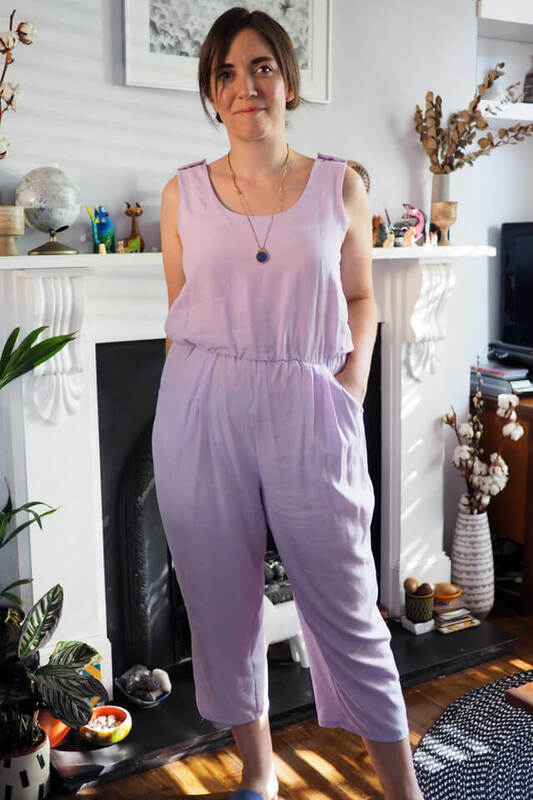 I read recently it’s even being touted as a new contender for millennial pink’s crown, so I guess as sewists we’re far from immune to fashion trends. 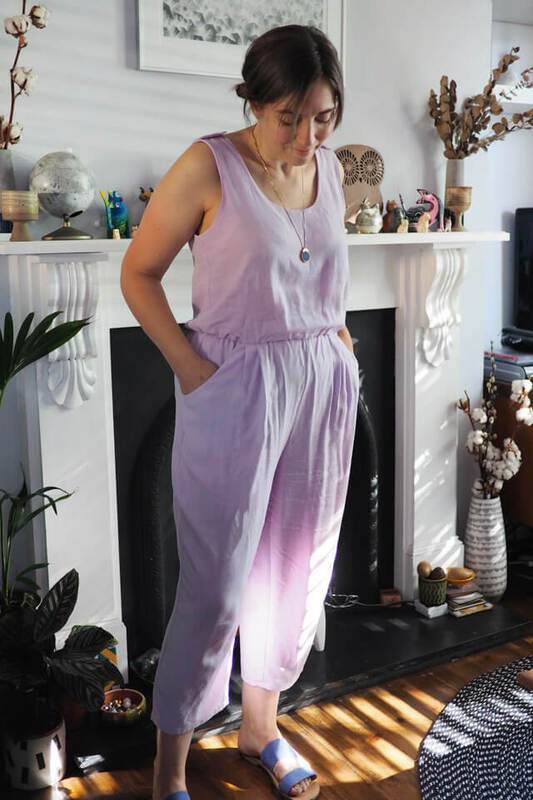 I went head to toe lilac for this jumpsuit, which is kind of out of my usual comfort zone but I’m finding it incredibly wearable and I think it suits my colouring pretty well. Every so often I’ll go on a vintage pattern eBay binge, and this one popped up on my last search. I love that vintage patterns often over-deliver in cute details, clever construction methods or useful instructions. This one came with plenty of fitting tips and the crucial access point is done via shoulder-strap buttons, a practical choice which I haven’t seen used before. I used some vintage shank buttons from my stash. This was really fun to sew up and the fit of the size 14 was almost perfect, I just had to shave a little off under the arms. 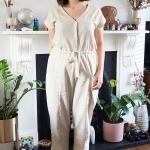 The neckline and arms are finished with an all-in-one facing and the seam allowance at the waist forms a casing for thin elastic which the bodice is designed to blouse over. The fabric I used is tencel-linen blend from Minerva Crafts. 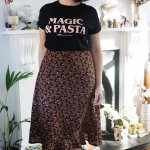 It was quite a bargain I think as it’s lovely stuff: it handled beautifully to sew, is really soft and creases a little bit but not madly. I wish it came in some other colours! I’m definitely going to make another one of these as I think it will layer well for cooler weather too. I have already used the lower half to make some trousers as well, which I’ll try to post soon. 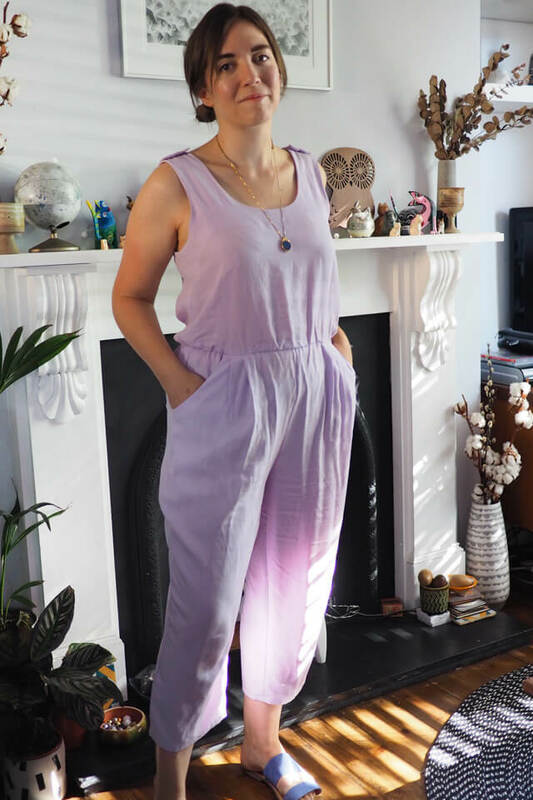 I never would have considered that color for a full on jumpsuit, but I really kinda love it! It’s so unexpected. The fit looks great too! Gorgeous! 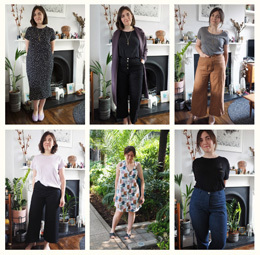 Tencel-linen is a dream, isn’t it?? That fabric is gorgeous! 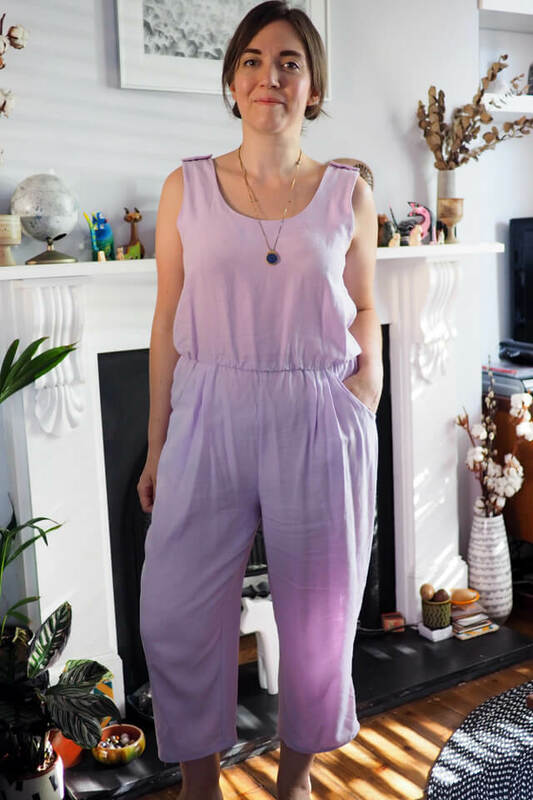 Your jumpsuit looks great. You’ve nailed it again! 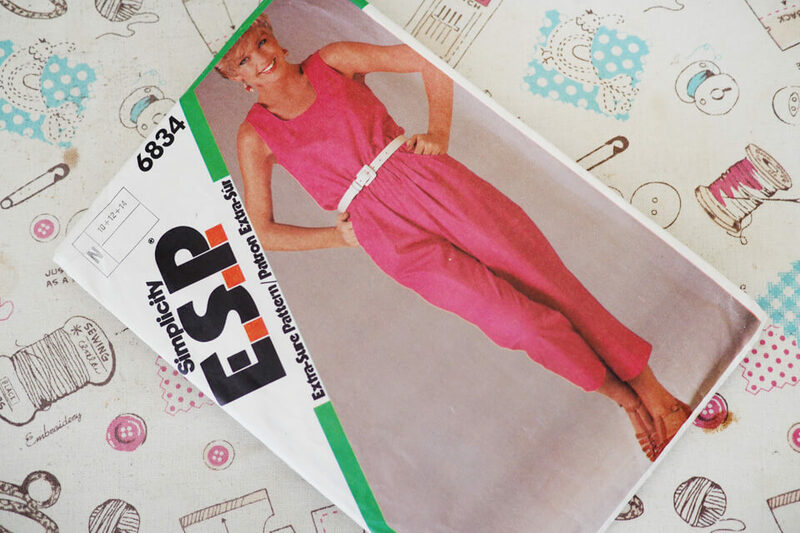 This jumpsuit looks great on you. Love the color and the fit. This is totally adorable! Love it! I also heard that lilac might be the next thing, it’s nice to see an actual source! I couldn’t tell you where I absorbed that information first. Just skimming the froth off the internet I guess. Anyway, it does suit you! Also your necklace is lovely! Thank you for sharing, as always, excellent photos & details. And, yay, the color is great on you. This is great! I really like it! So simple inspiration as well as very practical in everyday life. Everything is great fit and perfectly sewn. I’m impressed! Good job! Hi, I was listening to Love to Sew podcast and they mentioned you. 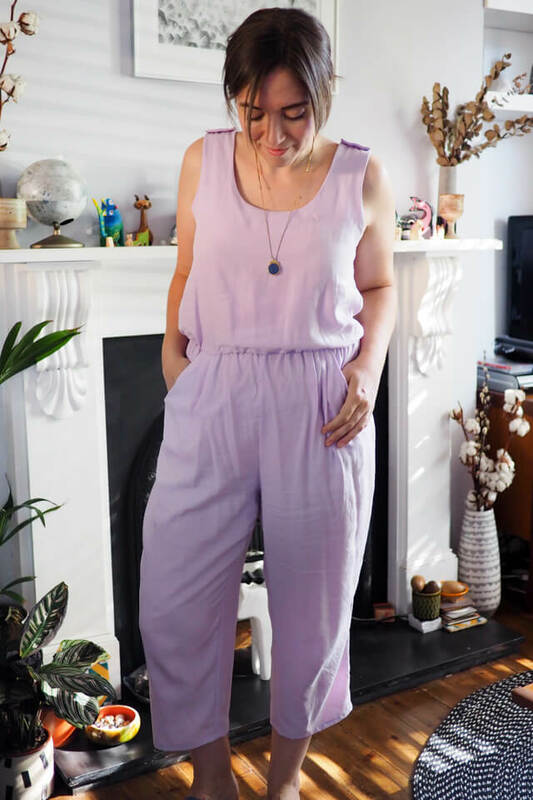 I went to take a look at your website and came across this darling jumpsuit! It was so familiar to me when I realized I made this pattern twice while in high school in the mid 80’s! I have often fondly remembered how great I felt in the peach brushed twill version and the aqua and navy splattered paint look version I made. I had a wide navy elastic belt I wore with both. Such a blast to the past! Those sound amazing! Thanks for stopping by!